There are no letters or words in this particular Cy Twombly piece, noted above, which I photographed at Michael Kohn Gallery off of Beverly Blvd., but the clumping of lines does convey a lingering effect: a certain primal state of grace that happens in childhood– while language is developing. The need to communicate overbears the logistics of execution. This is an emotional place to be– inside bursting confinement– and for art to exist at this capacity is rather remarkable. Reading or recording energy: when a psychic scribbles on a notepad, conjuring signals from the other side. The message is not in the lines, but in the spirit which moves the hand. Automatic writing. Evoking ghosts. Waking the dead. 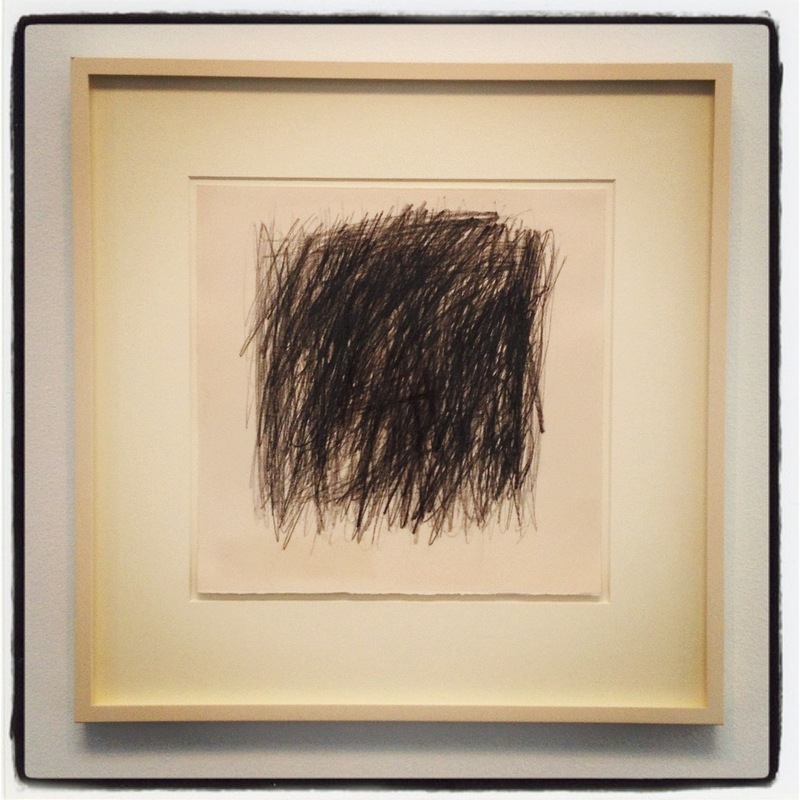 I like to think that Twombly’s work is pungent for all the above reasons. It is not just art, but an artifact, documenting our human desire to never be alone, matched by our intrinsic sentence to always be alone.